Scania are known for the manufacture of high quality, low carbon trucks. They specialise in supplying a range of industries including transportation & logistics. Our specialist Scania Truck Rental provides you with all the great features Scania trucks are renowned for. 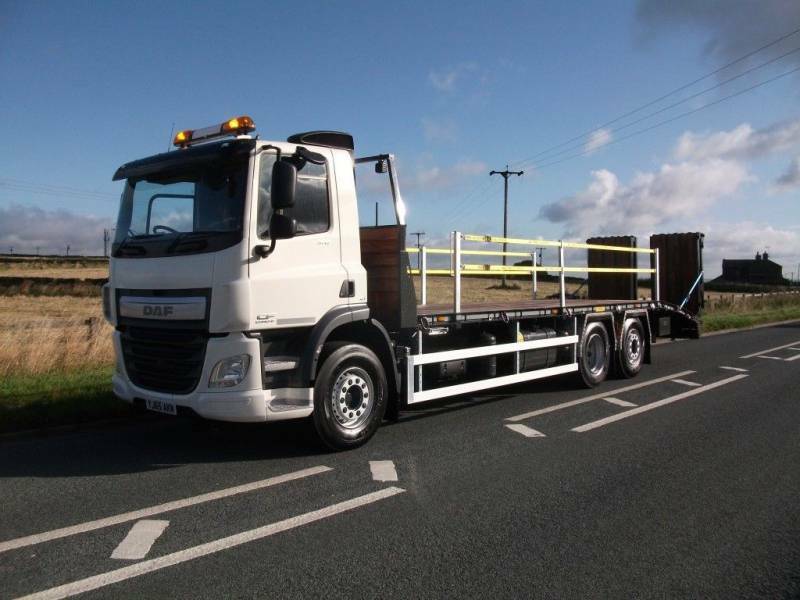 Ideal when combined with the in-house manufacturing capabilities you benefit from when dealing with Mac’s Trucks. We have a range of advanced in-house capabilities including a custom body-building workshop. These capabilities allow us to supply Scania truck rental that is built to your exact specifications, plus we can manufacture trucks quicker than if you were to go directly to dealer. Working with Mac’s Trucks to supply your business with high-quality Scania truck rental can benefit your business in a range of ways. Our Scania truck rentals are available on short and long term contract hire. Predictable monthly payments: With Scania Truck Rental from Mac’s Trucks, there are no nasty surprises. You pay a fixed fee each month for the length of your contract. We cover any maintenance and breakdown costs, meaning you don’t have to budget (or worry!) about rising truck costs. Short and long contract hire options: Across our range of Scania trucks rentals, we offer both short and long term contract hire. So, no matter how big or small the task we can provide your business with trucks that are fit for purpose and for the timeframe needed. Repair and maintenance cover included: If the worst was to happen to your contract hire vehicle, we’d repair it at no extra cost as both breakdown and maintenance cover is included within your contract. Plus, our Scania truck rentals are inclusive of our 6-week mandatory maintenance checks. Euro VI Engine Technology: Our Scania trucks come complete with a range of features that are designed to deliver outstanding operating economy and reliability. Euro VI engine technology features within Scania trucks and is designed to reduce the levels of dangerous gasses that are emitted from both petrol and diesel trucks. Beavertails: Our Scania beavertail trucks are equipped with our own high quality truck bodies and a range of features. These include fall arrest systems, a remote-controlled winch system and Euro VI engine technology. Tipper Grabs: Our Scania tipper grabbers feature Thompson bodies that are optimised to deliver strength without compromising on on the truck’s payload. Our tipper trucks also come equipped with Epsilon grab cranes that have high-performance clamshell buckets. Lorry Mounted Crane Trucks / HIABs: Our Scania crane trucks feature remote controlled cranes that designed for simple operation. Plus, in house manufacturing capabilities mean we can work with you to create a crane truck with the size and specifications perfect for your job. Hook Loaders: Our Scania hook loaders are ideal for the construction, waste disposal and recycling industries. Their VDL 25-ton hook lift capabilities make them perfect for transporting large goods quickly and simply.